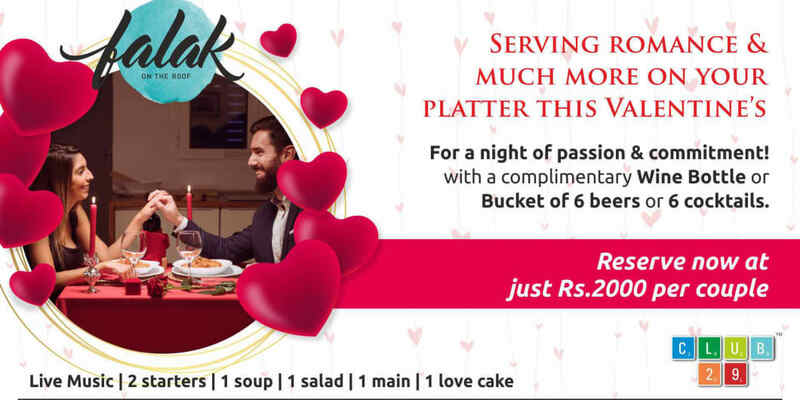 Serving romance & much more on your platter, this Valentine's! For a night of passion & commitment , with a complimentary Wine Bottle or 6 Bucket of beers or 6 cocktails. Special Details: Event starts at 8PM. Venue rules apply.